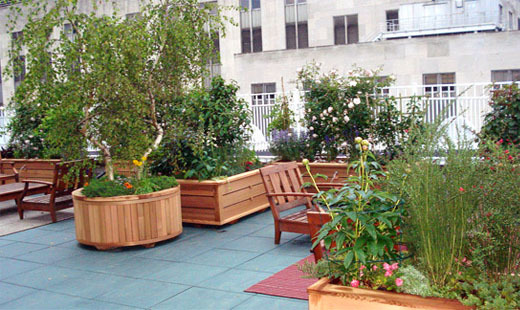 Large planters were designed specifically for this rooftop garden installation for a Manhattan corporation. 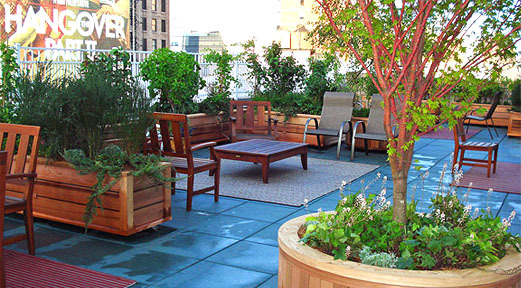 The planters, both circular and rectangular, are a simple, yet stout design, made to accommodate a variety of plantings. The interior of the planters has been double lined with heavy plastic sheeting. This outdoor gathering area has been successfully transformed into an urban oasis.